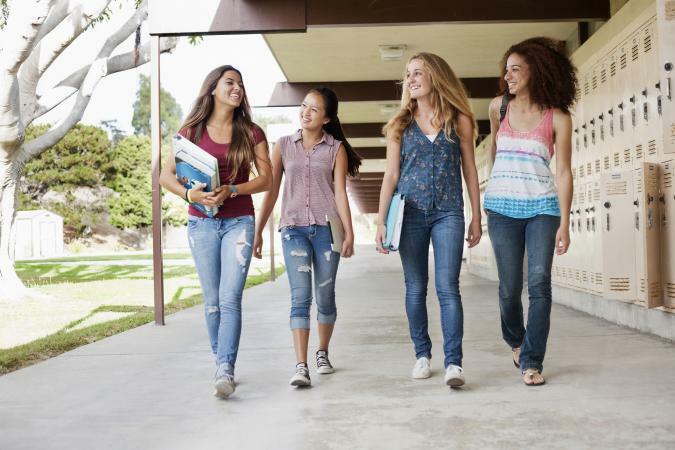 The transition from middle school to high school can seem scary to teens going into ninth grade, but these freshmen tips can help make it easier. Grades, friendships, and extracurricular activities carry a lot more weight than they did in middle school, so it's important to take this time seriously, but still have fun. You've probably heard all kinds of stories about the high school experience from parents, siblings, and older friends. Keep in mind, your experiences will be different from theirs because you are a different person. Although you might be nervous about a variety of aspects of high school life, remember there's a good chance you'll easily adjust within a short time. If you go in with confidence and keep a strong support system, you'll have the time of your life. You've always been told it's important to do well in school, but that's especially true in high school. Your grades, class choices, and extracurricular activities during these four years impact the colleges and jobs available to you after graduation. As a young adult, you'll be expected to be a lot more independent and make choices for your own future. While you can still have plenty of fun at school, it's time to start taking your education seriously if you haven't in the past. Movies, books, and television shows love to portray upperclassmen torturing freshmen as a rite of passage. These scenarios are often wildly exaggerated for the sake of entertainment. While there's no guarantee you won't run into older bullies or get teased by upperclassmen, your confidence level can lessen the severity. Besides, you probably won't run into many upperclassmen because they'll be in different classes and likely have lockers in a different hallway. If you go in with your head held high, a friendly attitude, and a sense of humor you'll be fine. This may be the first time you get to choose some of your own classes. There are core classes like math and ELA that everyone must take in a specific order, but the school guidance counselor can help you figure these out. When you do get a say, make smart choices and don't just pick classes you think sound easy. Look for classes about subjects that interest you or teach skills related to the job you think you want as an adult. If you're a great student, taking advanced placement classes sometimes allows you to earn college credits while still in high school which can lessen the cost of college. Between friendships, romantic relationships, family time, "me" time, classes, homework, college prep, sports, and clubs, it's easy to get lost in life during high school. Set some goals for each year and the entire high school as a whole before the bell rings to get your mind right. Make a poster to hang in your bedroom with these goals laid out. Whenever you're feeling a bit lost or struggling, check back with the goals you made when your mind was clear. Let these actions refocus your attention so you don't lose sight of what's important in your life overall. Add goals to your virtual calendar at certain intervals throughout the year, so you'll get notifications reminding you where you want to be. Once you graduate, you'll be expected to start making serious decisions about the rest of your life, even if you're not totally ready for the task. Take this time to explore jobs, hobbies, and social circles to find what really makes you happy. You may have an idea what profession you'd like to have, but you've probably never actually done that job. Get some hands-on experience through an internship or part-time job to see if it's actually a good fit for you or just good in theory. The same goes for hobbies and social groups. As an adult, you won't likely have as many opportunities to try things out short-term as you do in high school. As a bonus, you might meet some awesome new people on your adventures and learn a few things about yourself. When you grow up life becomes more about being part of the larger community and population and less about only your needs and wants. Getting some school spirit and joining in with rallies and games can help you feel like you're part of something bigger than yourself. 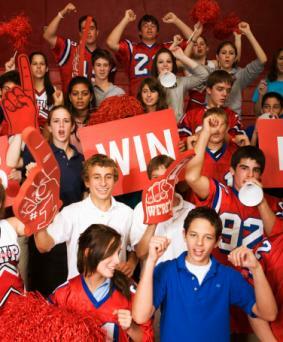 Take pride in your school by wearing spirit gear and participating in schoolwide events. Be proud of where you come from and help make it an awesome place for others. You'll not only learn how to connect with your community, but you'll grow some roots that can help you get through adult life. Many high schools start at an earlier time than elementary and middle school. Plan ahead at home to help you get out the door in time. Use an alarm clock to wake up early enough to get ready and eat before you've got to run. Forty-five minutes to an hour is an ideal time frame for showering, dressing, eating, and brushing your teeth. Pick out your outfit and pack up your backpack the night before to help save time in the morning. Many new freshmen feel like they'd rather blend in than stand out. However, what makes you special are the ways you stand out from the crowd. Don't be afraid to wear the kinds of clothes you like, not what you think others expect. If you're not comfortable making a fashion statement just yet, add some flair to your locker with fun decorations like a chandelier. Details like this can be great conversation starters when meeting new people and make you memorable. Academic success is a huge part of high school, but socialization is just as big. Your friends will help you have fun at school and get through any tough experiences life throws your way. You have the rest of your life to be an adult; this is your time to still be a kid. Find a group of friends with similar interests and stick together to make the most of high school. Get fired up at pep rallies, go to dances, and join clubs. No matter what clique you fit into you can have fun in high school. When you start applying for colleges and full-time jobs you'll need to provide some personal and professional references. You need to build up a network of people who can speak honestly and positively about your abilities in work and social interactions. Look for one or two teachers, coaches, or other school staff members who see you in action and would be willing to sing your praises when needed. Tips for high school freshmen can help make the transition from middle school to high school easier. High school will be more work than middle school, but heading back to school can be a great experience. If you keep a positive attitude and set yourself up for success, you'll make memories to last the rest of your life.